The L.A. Model at Campus Kilpatrick is a small-group treatment model that is youth-centered and embodies a culture of care rather than a culture of control. The modelʼs central framework relies on all campus staff including Probation, LACOE, and mental health providers to coordinate and deliver a range of integrated services that collectively aim to cultivate opportunities for growth and healing while promoting personal autonomy and responsibilities. This model includes intensive case planning that is coordinated,collaborative, and includes input from youth, family, probation, school/education, physical health, mental health, and when appropriate additional service providers or stakeholders. The therapeutic environment permeates all aspects of the campus experience, including all daily and nighttime activities, and is consistently upheld and reinforced by youth and all staff. The facility continues to expand its population with additional cottages coming on line. 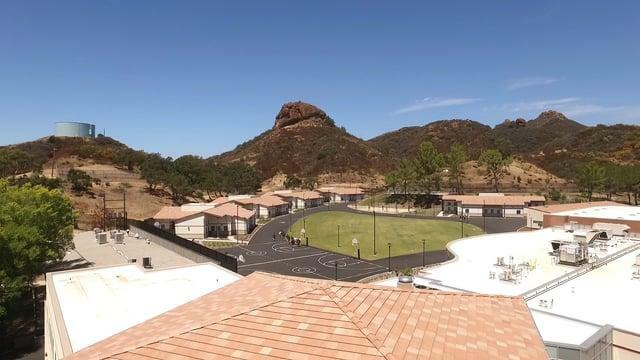 The first cohort of youth completed their court-ordered rehabilitation in December 2017 after an intensive 16-week rehabilitation program and a semester of a unique project based learning approach to education provided by LACOE. Youth who completed the program at Campus Kilpatrick have spoken about how they were treated with dignity, respect and care by the staff at Campus Kilpatrick. They see it as a place of opportunity, teaching them how to be part of a community. Campus Kilpatrick and the “L.A.Model” are examples that demonstrate how the L.A. County Probation Department is committed to providing its young people with the evidence-based rehabilitative tools necessary to build a productive future.